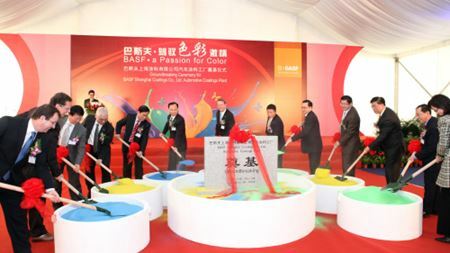 State-of-the-art facility will complement the BASF's existing plant in Shanghai, which has been operating for more than 15 years. Don Walsh, director of operations for Uyemura USA, will focus on how environmental regulations will impact materials availability. Facility designed to provide an environment for collaboration with customers, government, academia and business partners. Coating specialist Hardide Coatings has secured a grant of up to £250,000 to commercialise a hardfacing coating for use on drilling tool and wear parts. Kennametal Inc reported Q2 sales of US$633 million, compared with US$642 million in the same quarter last year. According to a report by market analysts Roskill, iron ore prices will rise in 2013, following a slump in 2012. Union Process Inc has manufactured a dry grinding SD-50 Attritor for a customer in the advanced ceramics industry. The ASTM has advertised that papers are now requested for the 10th ASTM International Symposium on Advances in Steel Technologies for Rolling Bearings. Umicore has been ranked as the most sustainable company in the Global 100 Most Sustainable Corporations in the World index. Launch party to take place in February at The Henry Autograph Collection Hotel in Dearborn, Mich. Provider of environmentally friendly water treatment systems and services for industry completes recycling "loop" with new solar-powered facility. Jason Maupin promoted to vice president; Terry Copeland named vice president, commercial business development. Latest OESA member survey reflects more optimism than pessimism about business conditions. January 22 event in Brussels featured public authorities, downstream users and other hey sectors. Custom presentations showcase a variety of unique powder coating colors—all shot on real-world applications. EWEA 2013 is just a few weeks away. So what can conference delegates expect to be the main topics up for debate? In particular, ACA is focusing on the review of methylene chloride and n-methylpyrrolidone. More than 15 new BASF products positioned as solutions for current market needs. Graeme Armstrong to assume role of managing director surface chemistry and country director for North America; Bob Margevich to retire. The total releases of toxic chemicals increased for the second year in a row, according to an EPA report. Researchers from MIT have developed a range of ceramics from rare earth metals that are both hydrophobic and durable. Renishaw has launched a competition that will enable six young people to experience a week-long insight into engineering-based organisations. Pinna replaces Rolf Graf, who has retired after six years as MD of Osterwalder. Resin supplier AOC LLC has announced a February price increase for all products for Mexico, Latin America and the Caribbean. Following its acquisition of UK-based Deloro Stellite, Kennametal has added a new business unit, Kennametal Stellite. Achievement reflects SIFCO's commitment to continual improvement in aerospace quality. Dave Boogaard, 16-year plating industry veteran, to cover the Southern Ohio, Central-Southern Indiana, and Kentucky territories. Leader in specialty chemicals inaugurated a new production unit for its Industrial & Consumer Specialties Business Unit in Coatzacoalcos, Mexico. Scott Bader Europe is increasing the prices of its unsaturated polyester, vinyl ester and DCPD resins, plus all other composite products, in February. Molycorp has announced that all key production components of its new rare earth manufacturing complex in Mountain Pass, California, are operational. ASTM has named Dr Robin E Graves and Daniel S Janikowski to its international board. Precision Castparts Corp says that has completed its acquisition of Titanium Metals Corp (Timet). EPMA program is designed to discover the ‘best of the best’ PM technical papers from Europe. Coveted prize recognises exceptional contributions to the advancement of titanium in applications or technology. Survey says: Metalforming companies expect a slight improvement in business conditions during the next three months. Pavco Moves Towards Completion of Pilot Facility in Charlotte, N.C. State-of-the-art center created to assist PAVCO's ongoing research, sales and service efforts. Enthone and Alpha will continue operating under their current trade names, with no changes to how business is conducted. The SECO/WARWICK Group, a supplier of industrial equipment for metal heat processing, has bought furnace engineering specialist NESPI International GmbH. Is your company exhibiting at JEC Europe 2013 in Paris in March. Would you like to be included in Reinforced Plastics' preview of the show? Sprawling Michigan operation is the latest addition to Pioneer's stable. U.S. manufacturing technology orders up 4.8% from 2011. With a year-to-date total of $5,212.17 million, 2012 was up 4.8% compared with 2011, AMT statistics show. Facilities enhanced to provide improved customer sampling, testing and analysis, as well as qualification runs under production- scale conditions. Resin manufacturer AOC LLC has announced a February price increase for the US and Canada. Tokyo-based Starry Oil Corporation to handle select precision cleaning product lines. Modest increase seen in manufacturing employment, but overall unemployment rate remains unchanged at 7.8 percent. The Awards of Excellence acknowledge exemplary contributions by authors and presenters from the previous year's Anodizing Conference. New site segmented by industry, market, and end-use application. SKF has signed an agreement to purchase Germany-based ship components provider Blohm + Voss Industries (BVI) from Star Capital Partners. Sandvik has developed a new tool for engineers, programmers and machinists to use when working with drilling and tapping tools. Gurit, a supplier of composite materials and structural engineering services, is implementing a unified global brand. Goal is to reduce injuries and illnesses at ‘high-hazard’ workplaces. Paul Gagne tapped for his expertise in chemical blending. Gil Research release report estimating worth of PM manufacturing sector. Powder metallurgy manufacturing industry generated US$6.6 billion in sales, report shows. Carpenter Powder Products has raised the base prices by 7% on all bar, plate, and finished Micro-Melt (PM) tool steel products. Goal for 2013 is “to better promote the professional development opportunities resulting from involvement in standards development activities”. Arcam has received an order for an electron beam melting (EBM) system from Metal Technology Co Ltd (MTC), a contract manufacturer in Japan. BCC Research has published a report focusing on the top ten manufacturers of powder metal and other related materials. The following 5 news articles published in 2012 were the most popular with visitors to the Reinforced Plastics website during the year. 2012 ESTCP project addresses corrosion problems associated with magnesium alloys utilized in military applications. Robert R. Phillippi tapped to lead DuPont Powder Coating's efforts in the rebar market. Alex Jachnycky, formerly of Arrow Electrics, brings a wealth of technical and customer service experience. $1.5 million provided through SERDP for powder topcoat development. Sandvik Mining has signed a mining systems contract with Sasol Mining (Pty) Ltd for the Shondoni Mine Materials Handling project in South Africa. Transaction that includes all of Metaldyne's global operations. We would like to wish all our readers a happy and prosperous 2013. In 2013 Eastman Machine Company is celebrating 125 years of making textile cutting machines. Ametek Specialty Metal Products (SMP) has enhanced its rolling capabilities at its Eighty Four, PA, plant, near Pittsburgh, USA. Arcam has received new orders for EBM systems from Avio and GKN. Union Process has made an S-400 Attritor for the wet-grinding of waste material intended for recycling. The European Powder Metallurgy Association has launched a new brand to promote the range of applications in which PM can be used. The International HIP Committee (IHC) has announced that the next International HIP Conference will be held in Stockholm, Sweden, on 9 -13 June, 2014. The following 5 feature articles published in 2012 were the most popular with visitors to the Reinforced Plastics website during the year. Muscarella's career as a sales manager, president and owner of companies that manufactured corrosion-resistant equipment spanned 40-plus years. Reinforced Plastics would like to wish all our readers a very Happy New Year.